CHULA VISTA, Cailf. 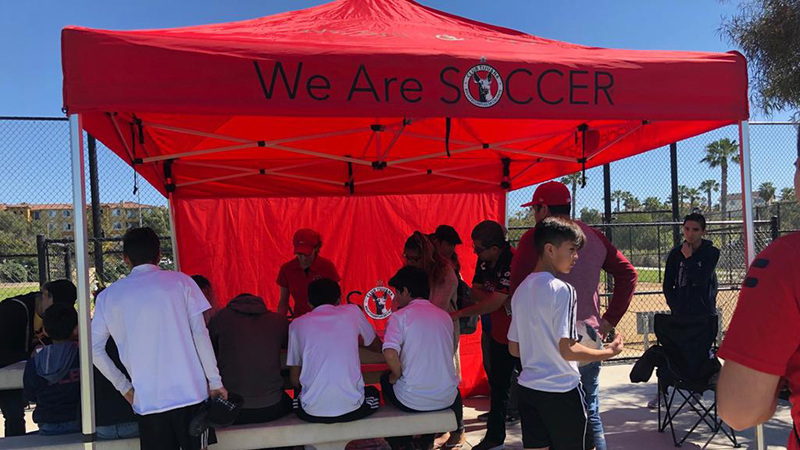 – Xolos Academy boys 1997 team beat Albion SC 1-0 Saturday in a Week 5 San Diego Developmental Academy play at Southwestern College. It was an even match that could have gone either way. Both teams started slow to open the game, where the first shot on goal did not come until the 20th minute. Both Albion and Xoloitzcuintles focused on keeping possession, spreading the play with quick counters when both on the ball. A change was made for the Xoloitzcuintles as Alexis Palma came on for Nauj Vega, playing center forward. The change sparked the Xoloitzcuintles side, creating more opportunities late in the first half. In the 41st minute, The Xoloitzcuintles found the net on an Albion mistake. A defender misplaced a pass to the keeper. 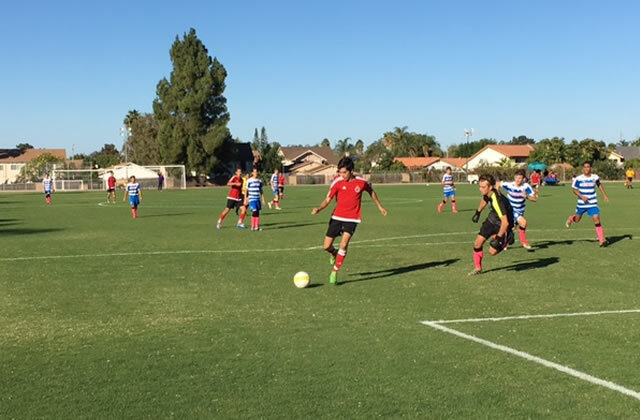 Xolos Academy’s Luis Sanchez pounced on the ball, rounded the keeper and slotted the ball away to give the Xoloitzcuintles the lead heading into half time. The second half kicked off and both teams played at another level. Albion and the Xoloitzcuintles put on a very entertaining first half with many chances to score for both sides. 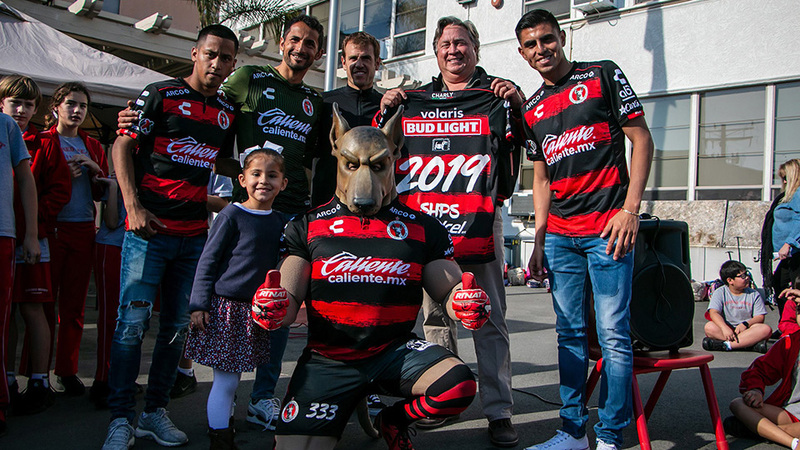 “Junior” Garcia Lopez came on as a sub in the 2nd half and added a new dimension to the Xolos side. In the midfield, Junior created many chances and his direct play led to many opportunities for the Xolos to extend the lead. Luis Villaseñor, the starting center back for the Xolos, put on an impressive defensive display. He blocked several shots and had several steals on Albion attackers, helping the Xolos defense to keep a clean sheet. The Xoloitzcuintles held and picked up its first win of the season against a strong Albion side. 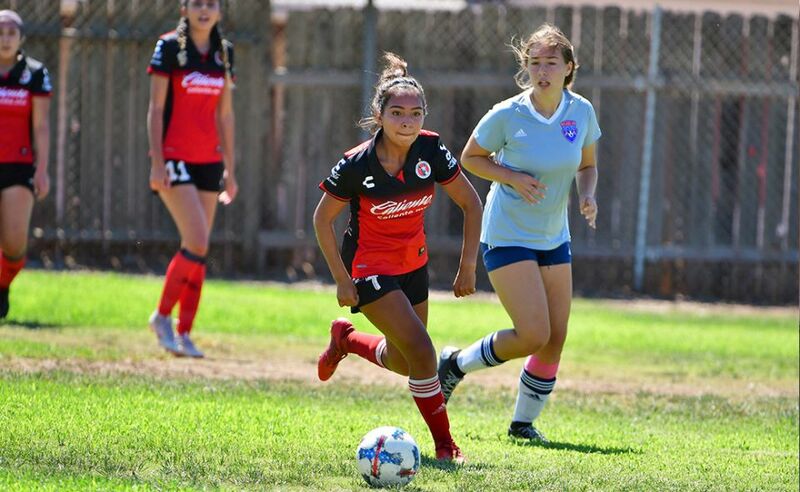 The Xoloitzcuintles will next face SD United on Oct. 15 at Cuyamaca College.